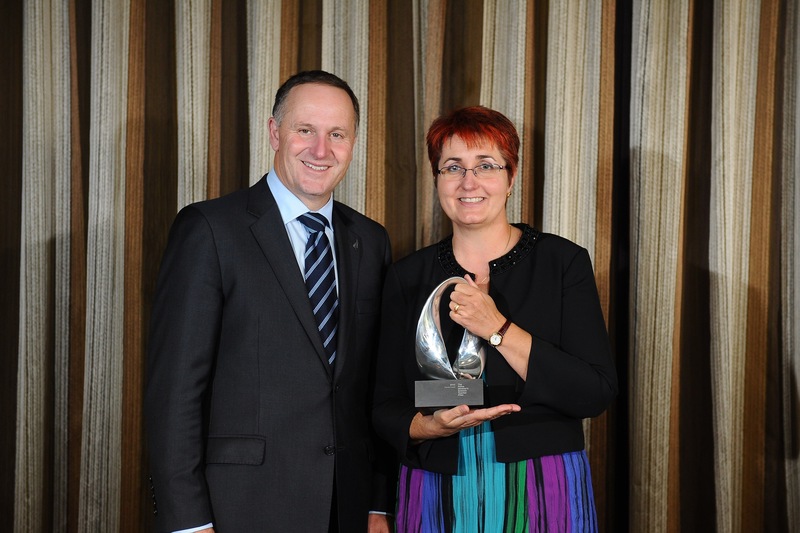 A low decile, south Auckland secondary school teacher, who is reversing a trend of falling science class sizes at her college, has won the 2013 Prime Minister’s Science Teacher Prize, worth $150,000. 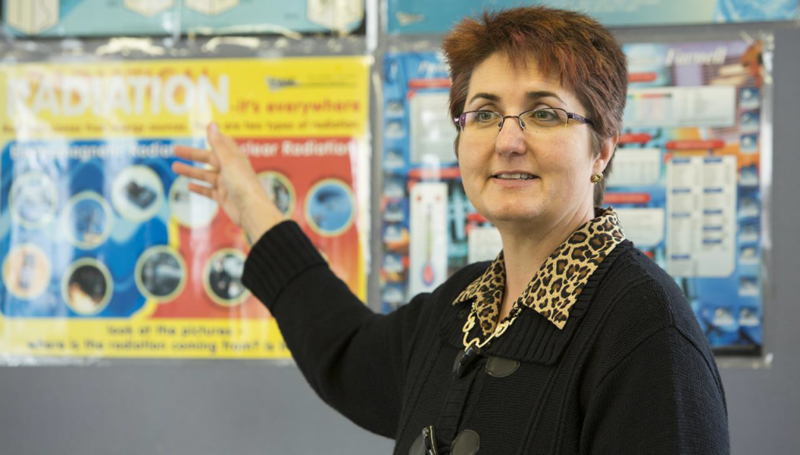 Fenella Colyer, who is Head of Physics at multicultural Manurewa High School, is demystifying science by writing educational modules tailored to students’ differing abilities and interests, and making class topics relevant to teenagers. Literacy skills are embedded into her programmes, enabling students to interpret or ‘decode’ the language in examinations. “It may not be easy for teachers to do individual education plans for each student but it’s easy for all teachers to prevent students switching off by finding topics that interest them and fit the curriculum,” says Fenella. The journey of Polynesian explorers who colonised New Zealand, the physics principles involved in felling huge trees to make waka, navigation skills, the elasticity and strength of flax and the physics of sport are likely topics for Fenella’s students. “It’s about teaching students to use ‘out of the box’ thinking, being creative and problem solving so they are able to apply knowledge to a raft of situations,” she says. Fenella is the driving force behind a 30 percent increase in the number of Maori and Pasifika students studying science at Manurewa High in the past two years, with pass rates rising to 81 percent, which exceeds the national average. Girls, who previously shunned physics, now outnumber boys in Manurewa’s senior classes, 13 students have won major regional or national science awards, others have been selected for and excelled at university science challenges, summer schools or science symposiums in New Zealand and overseas and one has attended Space Camp in the United States. Fenella went to night classes in computer studies so she could use ICT in her teaching, and help Manurewa High introduce Sparklabs, which use touch screen technology for collecting real-time data in science. She is now modifying the Sparklab files to reflect New Zealand content. A motivating force for Fenella has been her experience as a parent of four children with differing educational abilities, ranging from the gifted to special needs, and feeling they weren’t being catered for in the education system. Manurewa principal Salvatore Gargiulo has earmarked some the school’s $100,000 share of the prize money to establish a science academy to ensure the subject earns the same respect as more high-profile interests, such as sport. “Mrs Colyer’s success breaks the low decile stereotype that such schools struggle to achieve top grades in what are considered difficult subjects,” he says. “Dropping science, often for the wrong reasons, such as it being perceived as a tough subject, cuts out a raft of career opportunities,” he says. He describes Fenella as highly organised and says she keeps her teaching grounded firmly in the real world, making practical work a cornerstone of her classes. “I’m changing students’ attitudes about themselves and science. I think I’ve made them see that science is not boring and not terribly difficult,” says Fenella. “It’s such a thrill to see a less able student no longer scared or intimidated by science, when they realise they ‘get’ it, enjoy it and pass when they think they’re going to fail. Sometimes the most unlikely people are the most successful,” she says. In 2009, Fenella was awarded a National Excellence in Teaching Award. 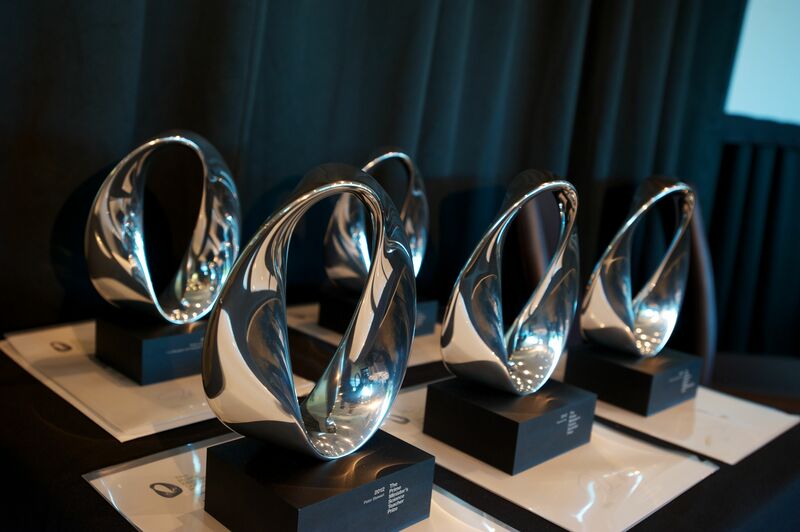 Earlier this year, she received a 2013 Rotary Award for significant and meritorious service to the community, recognising her fundraising and sponsorship activities to help struggling students to attend science events.